These hand painted metal toy soldiers depict an Austrian regiment of troops that fought against the French and then briefly for the same before fighting against them once again--all during the Napoleonic Wars. Other than Britain, Austria was the most persistent enemy of France. Though designed for Apern-Essling, the figures fit perfectly into any 1809 or later battle which the Austrians took the field. 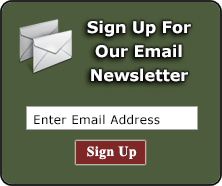 Use them for Wagram, Dresden, Leipzig, Raab, or any other of the many Napoleonic battles in which the Austrians took part! First Legion's diverse selection of unit nationalities really opens up a whole new array of display possibilities. 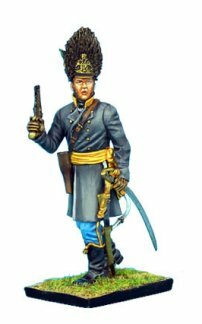 These Austrians will surely make an excellent, and much needed, addition to any serious Napoleonic toy soldier collection! 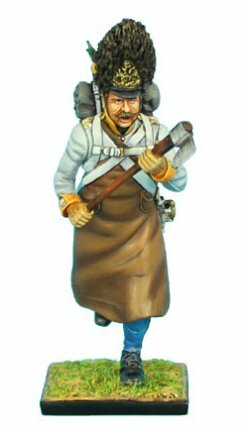 View our selection of First Legion Austrian military miniatures below.